Just enjoyed three days visiting the Somme area of northern France with my good friend Bruce. I've had an interest in the infamous battle of the Somme since early teens when I recall reading about the mass slaughter of Bristish and Commonwealth troops in the first hour of attack on the morning of July 1st 1916. I even remember where I was when I read about it-standing in the far left corner of the old central library in Harpur Street Bedford. Having recently visited the Ypres area with my family just before Christmas, it was good to see a different area of the conflict. 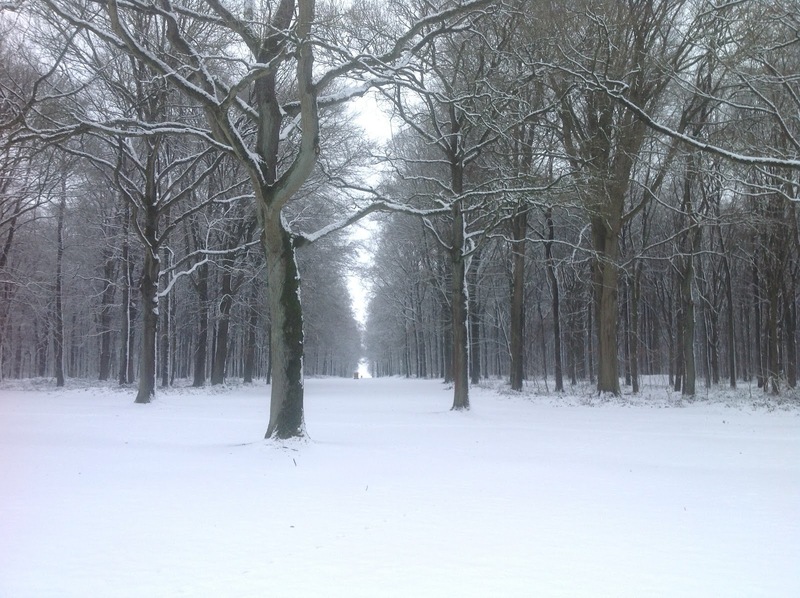 For all the time we were there the ground was blanketed in fairly thick snow which added to the vast panorama of gently sloping and exposed slopes which our troops would have had to attack along. It was vey cold everywhere (on our first morning at Delville wood it was minus 10! ), but the resulting solitude just made it all seem more atmospheric. Indeed some friends had questioned my sanity when I told them I was visiting in January, but for me the brief periods of discomfort from the cold were part of trying to identify in some way with our young men who had endured far far worse depredation, nor withstanding the sheer fear and anxiety of being in the trenches. The museum at Peronne was helpfully laid out, and I was particularly impressed by the short video clips scattered throughout the museum. Especially one short clip showing soldiers burying their comrades in a mass grave, with the chaplain mouthing words of committal surrounded by solemn looking tommies with heads bowed. With statistics of a one in ten chance of being killed whilst serving at the front line, it's not hard to imagine the thought that for many of them it would not belong before it was their turn to be wrapped in a shroud and join previous victims in the cold earth. But most tragic for me were the videos of soldiers suffering from what we would now call combat stress, although at the time was regarded as shell shock. During and just after the war there was considerable division about whether it simply denoted 'lack of moral fibre', or even simply cowardice, or whether it was truly a psychiatric condition. Hysterical symptoms were little understood at the time (and still challenge today's doctors! There's an excellent history of hysteria by Shorter called From paralysis to fatigue). Some years ago it was heartbreaking to read of the men executed for cowardice, and all For the sake of example (an excellent book by Babbington). We stayed at Orchard Farm cottage with the wonderfully hospitable Martin and Kate Pegler. Martin has published several books on different aspects of the Great War. 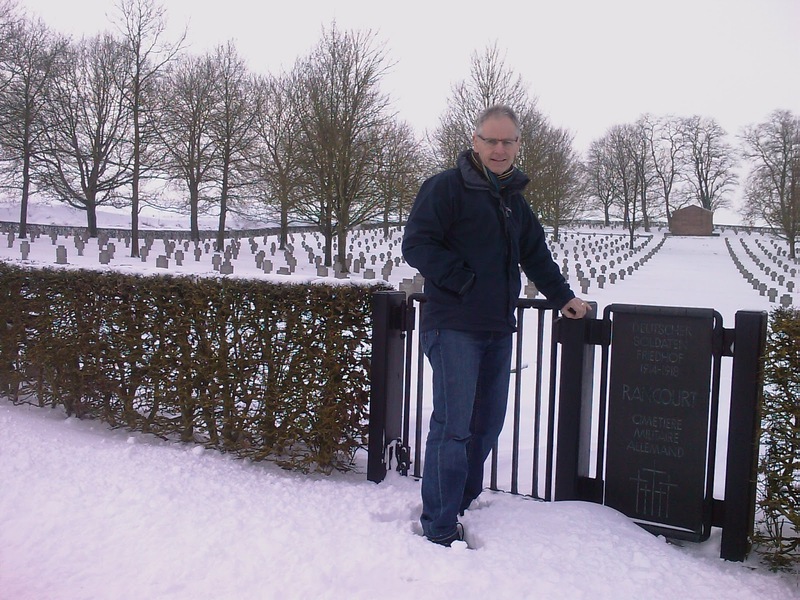 Their knowledge was cheerfully passed onto us, and in better weather, Martin would have been able to provide professional guided tours of the battlefields. I would heatedly recommend staying with them and benefiting form Kate's excellent cooking and Martin's expert knowledge. One unusual feature of our time there was the sharing of mealtimes with our hosts. Eating together is such a time honoured way of extending friendship and our times eating breakfast and supper together were in many ways the highlight of our trip.